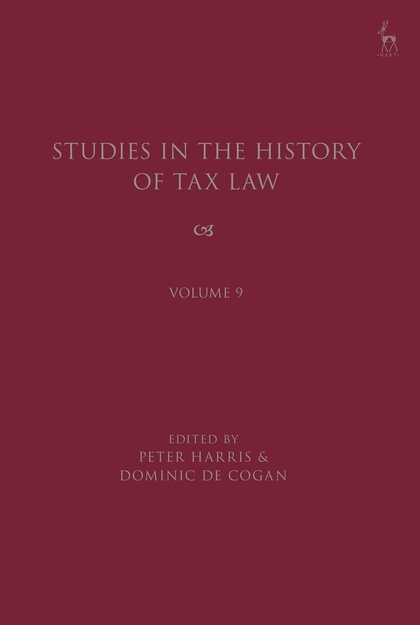 These are the papers from the 9th Cambridge Tax Law History Conference held in July 2018. In the usual manner, these papers have been selected from an oversupply of proposals for their interest and relevance, and scutinised and edited to the highest standard for inclusion in this prestigious series. The papers fall within five basic themes. Four papers focus on tax theory; one on Bentham, another on social contract and tax governance, a third on Schumpeter's 'thunder of history', and a fourth resurgence of the benefits theory. 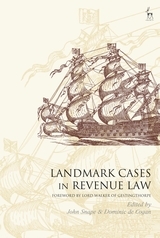 Three involve the history of UK specific interpretational issues; management expenses, anti-avoidance jurisprudence, and identification of professionals. Another three concern specific forms of UK tax on road travel, land and capital gains. One paper considers the formation of HMRC and another explains aspects of 19th century taxation by reference to Jane Austen characters. Another four consider aspects of international taxation; development of EU corporate tax policy, history of Dutch tax planning, the important 1942 Canada-US tax treaty, and the 1928 UN model tax treaties on tax evasion. Also included are papers on the WWI effects on New Zealand income tax and development of anti-tax avoidance rules in China. Peter Harris is Professor of Tax Law at the Law Faculty in the University of Cambridge. 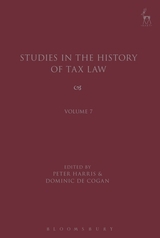 Dominic de Cogan is University Lecturer in Tax Law in the Law Faculty in the University of Cambridge.